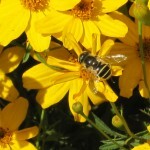 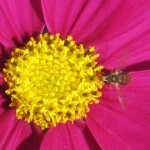 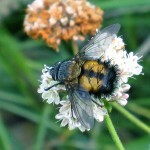 There are many types of syrphid flies. 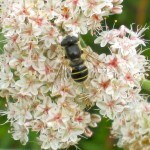 All larvae are predatory. 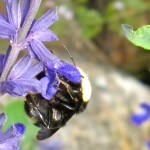 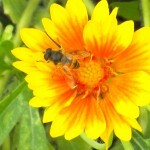 Adults feed on flowers. 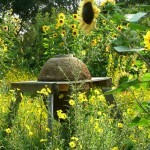 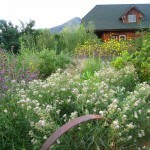 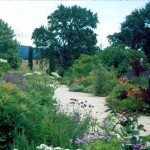 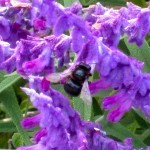 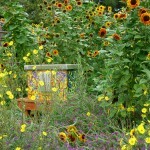 This The garden is filled with hummingbirds, a diversity of bees and beneficial insects. 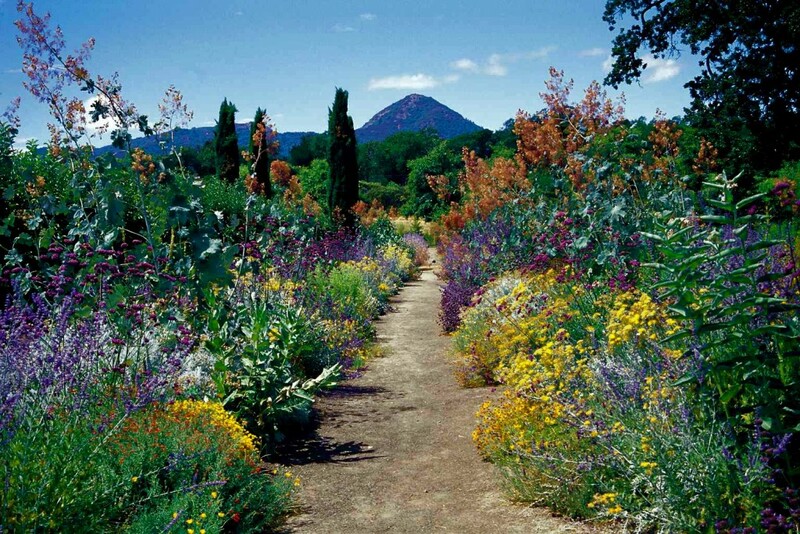 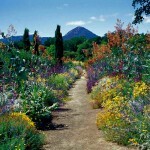 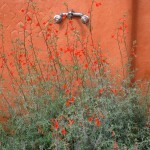 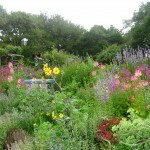 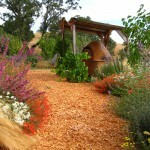 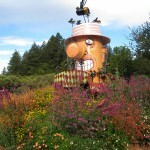 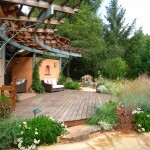 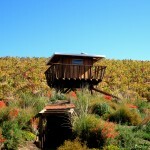 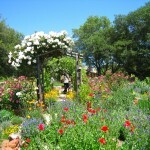 A Hopland garden filled with color and life. 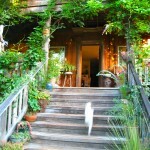 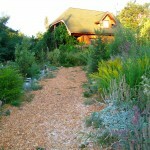 Our house and garden in Hopland, CA. 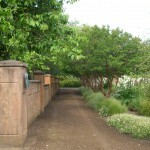 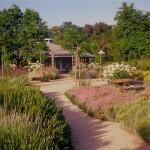 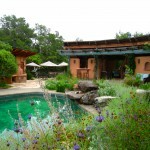 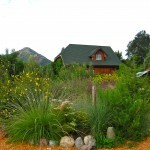 All plants are native and habitat plants at the pool house at The Melissa Garden. 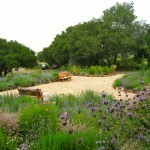 CA native plants at The Melissa Garden. 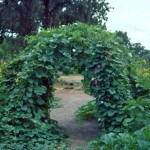 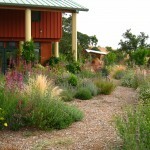 All plants are habitat plants. 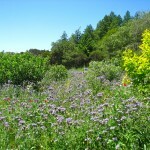 Habitat plantings at Dark Horse vineyards in Ukiah. 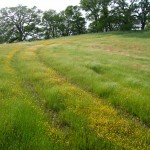 Spring scene near our house in Hopland, CA. 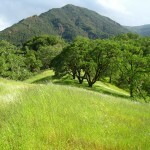 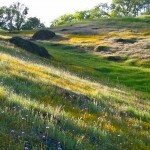 Spring scene in Hopland, CA near our house. 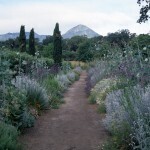 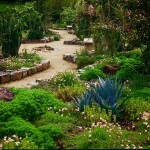 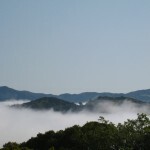 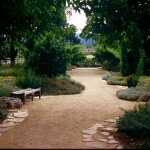 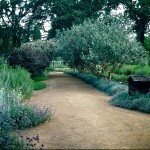 A rare foggy morning in summer in Hopland, CA..
A Mediterranean/Mexican garden in Hopland, CA. 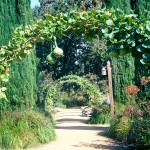 A decoration of gourds on hoops in Hopland, CA. 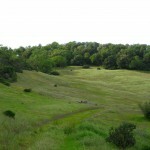 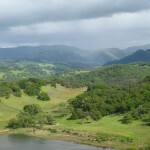 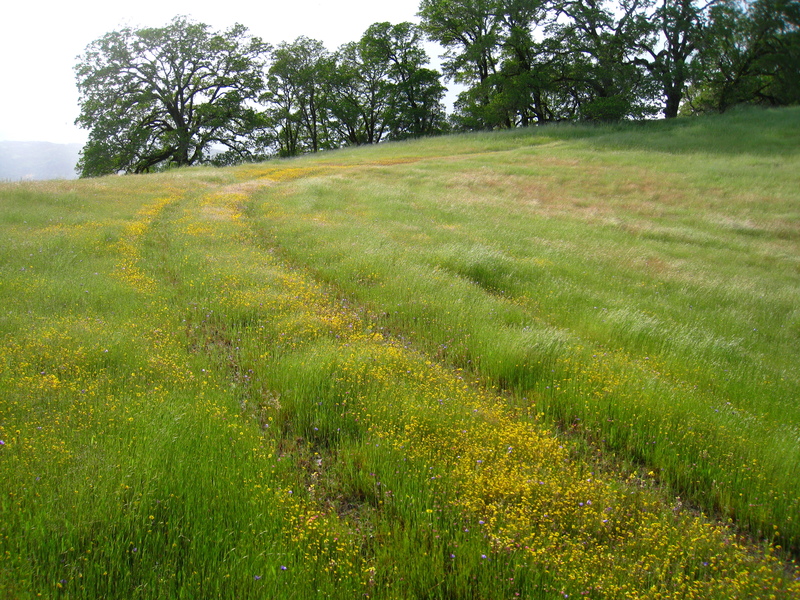 A habitat border in 2 colors in Hopland, CA. 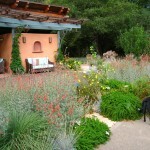 Crape myrtles and Stipa tenuissima in Hopland, CA. 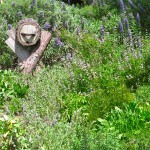 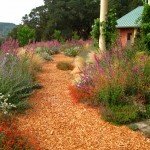 A California-style perennial border in May in Hopland, CA.